If you are at the grocery store and see a copy of Woman’s World at the check-out, pick it up, turn to page 12 and you might see a familiar face. 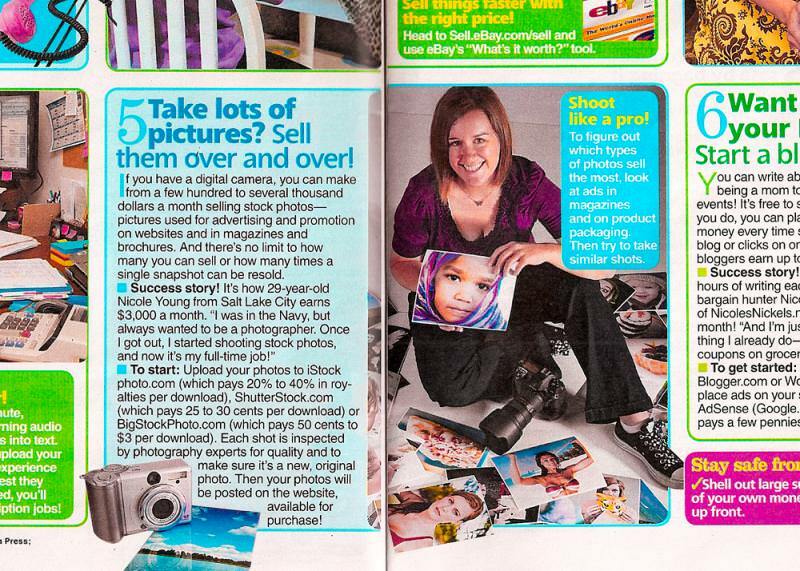 In August when I was at the iStockphoto “HQ’lypse” event in Calgary I was asked if I would do an interview for the magazine, and of course I said yes. The article was nice (maybe just a little bit corny, lol) and it is definitely strange to see my face in a magazine instead of just one of my photographs. I’m gonna pick up more than one copy….. I’m gonna clean ’em out!!! Perfect. Let’s encourage more competition. Brilliant!